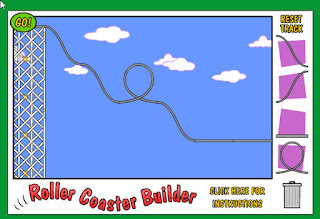 Here are some fun online applications that you can use to make roller coasters and learn a little about physics along the way. 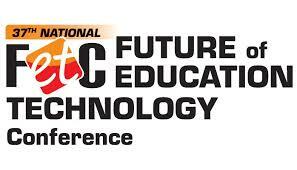 Students will choose track heights, shapes, and dips to create the ultimate thrill ride that is not too scary or dangerous. 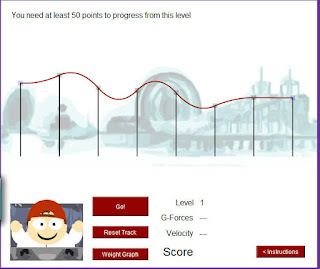 If you want a great lesson plan involving roller coaster physics, take a look at Amusement Park Physics and Take a Roller Coaster Ride. 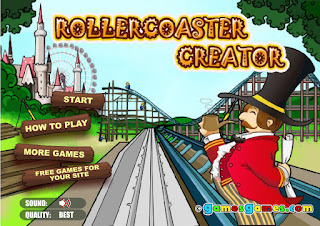 I really like the Spark Lab and Roller Coaster Creator site. This is a fun way for students to learn about and practice force, energy, and motion. I is wonderful way of teaching conservation of energy ,For students to learn about physics in this way will be a fun.